According to The Jakarta Post, the authorities also recommended that locals and tourists not be allowed within a radius of 3 miles from the crater of the volcano. 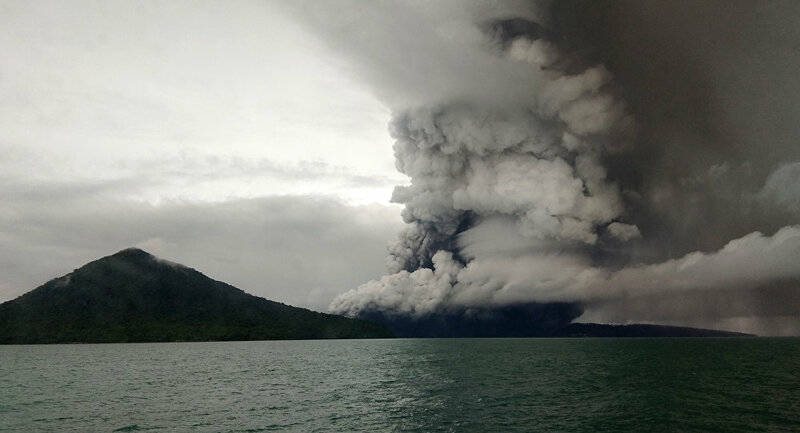 ​Indonesia has ordered all flights to be rerouted as volcano alert level has been raised. Insurance payments to compensate damage caused by the tsunami that hit Indonesia earlier in December may exceed $1 billion, media reported on Thursday citing data from local insurance companies. ​According to The Jakarta Post, insurance companies have counted at least 191 insurance risks from the disaster in Lampung and Banten provinces. The tsunami, which was triggered by a volcano eruption, struck the Indonesian coast at 14:27 GMT on Saturday. The death toll following the disaster reached 430 people, and nearly 1,500 were injured.